Dubspot DJ Tutorial Roundup: Serato, Traktor w/ ENDO, Shiftee, OP! Dubspot DJ Tutorial Roundup: Serato, Traktor w/ ENDO, Shiftee, OP! 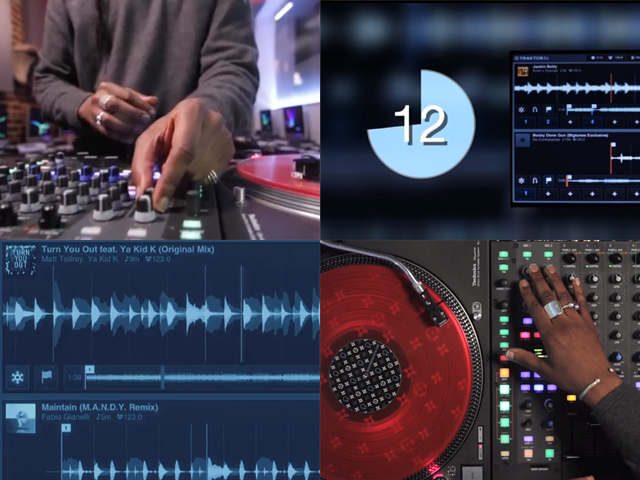 In this DJ tutorial roundup we highlight some of our best videos for digital DJs from Koolis, ENDO, Shiftee, and OP! Our DJ / Producer Master Program is the most comprehensive collection of courses that we offer. We are currently in the middle of a Sale. Enroll now, save 15% and get free Ableton Live Suite while seats are still available! In this video tutorial, Dubspot instructor and Native Instruments product specialist Brian Koolis a.k.a. Kooli breaks down the concept of phrase mixing. Kooli is a classically trained pianist, DJ, and producer. He began his twelve years of classical training in piano and tuba at the age of seven. Since joining the Dubspot family in 2009, Kooli provides in depth instruction in all Traktor products and advanced DJ performance. The first part of the tutorial focuses on disabling the two dedicated mic controls on the mixer. The Rane 64 mixer does not have dedicated knobs to control the dry/wet parameters of the internal effects. By disabling the mic section on the mixer for this example, each knob is able to be MIDI mapped to control the dry/wet parameters for the effect you choose to use. The second part of the tutorial focuses on MIDI mapping the third and fourth layers in the cue point section to control the on/off parameters of the internal effects. By default, layers one and two control the cues/loops and sample decks respectively. These layers are not re-writable. Layers three and four have default controls over cue points, but these are user re-writable and can be used via MIDI mapping control the on/off parameters for the effect you choose to use. Once the knobs and buttons are mapped for the internal effects, they will work by default to control the parameters for both the single and group effect, thus preventing you from having to do additional mapping for both effects. While this example focuses on the dry/wet and on/off parameters for internal effects through MIDI mapping, the mic knobs and layer buttons can be mapped to control almost any rotary on button function inside Serato DJ. With these examples of MIDI mapping fundamentals, you will be able to control any internal single or group effect combination to add dynamics and creativity to your mixes. In this video tutorial, Dubspot DJ instructor OP! demonstrates how to map a MIDI controls to an Akai LPD8 controller in Serato DJ. This tutorial focuses on using the MIDI mapping function in Serato DJ to map cue points to the Akai controller’s pads. Once the cue points are mapped to the controller, the cue points can be retriggered at will and also jump you to a specific point in a track based on the placement of the cue point. The tutorial also focuses on MIDI mapping the rotary knobs to control the Izotope internal effects in Serato DJ. Once the mapping is created, you can control the dry/wet amount of the effect to the track that the effect is assigned to. Lastly, you will learn how to save a custom mapping so it can be recalled in Serato DJ for future use. With these examples of MIDI mapping fundamentals, you will be able to create your own midi mappings according to your specific needs for control within Serato DJ using the Akai LPD8 or any other midi controller. In this recap video from the second Dubspot DJ / Producer workshop at Harvard University, two of our talented instructors – Harvard grads Dan Freeman (bassist/singer of C0) and Sam Zornow (a.k.a. 2X DMC Champion Shiftee) – visit their old alma mater to present workshops on DJing and production. Shiftee demonstrates some digital DJing and performance techniques with Native Instruments’ Traktor Pro and Maschine, while Dan Freeman offers production and performance tips and highlights some of the new features of Ableton Live 9 and the new Ableton Push controller. The DJ / Producer Master Program is the most complete and extensive collection of courses offered at Dubspot. Build on the fundamentals behind the music to produce, design, master, and perform your tracks. This program also available ONLINE. « Dubspot Los Angeles Open House + 10% Sale! This Sunday June 8th from 12 – 3pm!